Nepal is where you go when you want to step up your hiking game, when you’re serious about mountains. 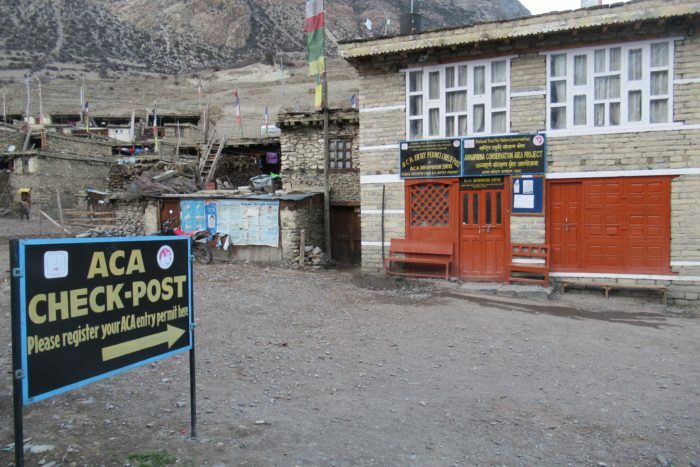 The Annapurna Circuit is just a hop, skip away from Everest, but more accessible. 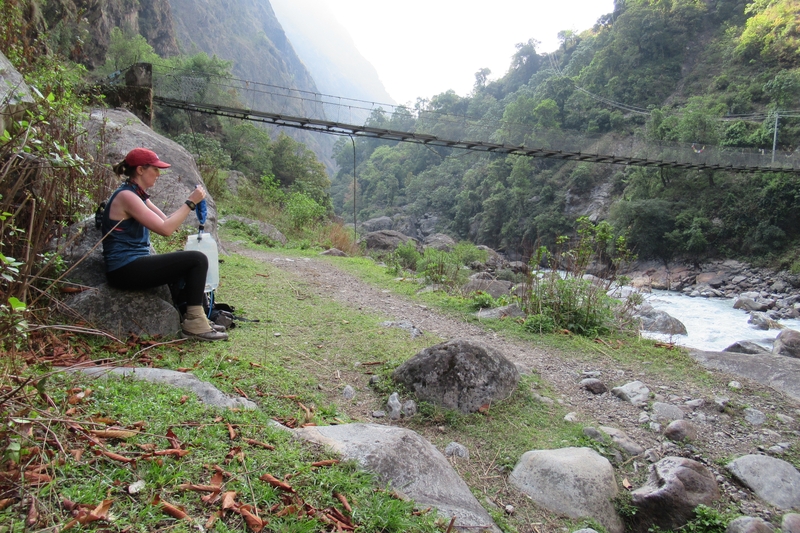 The full semi-loop trail is roughly 150 miles within the Annapurna Range in the Himalayas of Nepal. The focal point of the trek is Thorong La, recognized as the tallest navigable mountain pass in the world at 17,769 feet. Along the Annapurna Circuit you’ll see the tallest mountains you’ve probably ever seen in your life. You’ll pass by ancient terraces growing rice. You’ll share the trail with water buffaloes, goats, and yaks. 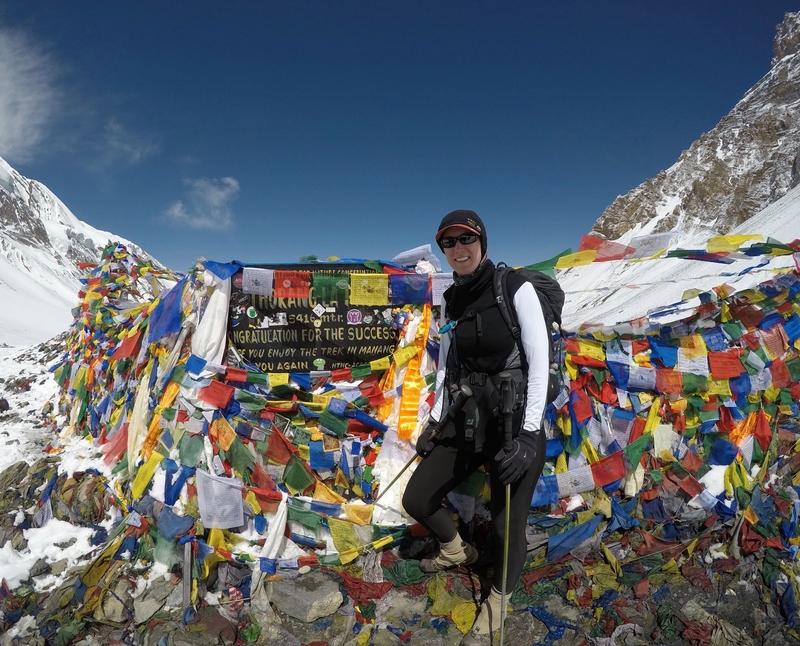 You’ll meet the local sherpas and trekkers from all over the world. This trail is a trip of a lifetime. Nepal rates this hike as challenging. 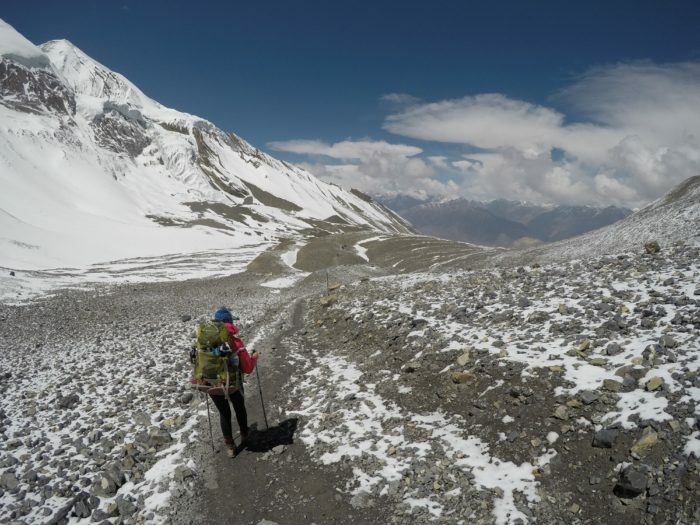 In Besisahar you’re starting off around 3,000 feet, and every day from there you are ascending until you top off at Thorong La at 17,769 feet. You’ll see the snow and glacier-covered Annapurnas, snowmelt-fed rivers, ridiculously long suspension bridges, and terrifying landslide-prone scree fields. First, fly to Nepal’s capital city, Kathmandu. You can purchase your visa at the airport. I got the 30-day visa for $40, but they also have 15-day or 90-day visas. Next, take a taxi to Gongabu bus station where you buy your bus ticket (~$4) for the ~eight-hour bus ride to Besisahar that will leave around 6 pretty much every morning. From Besisahar you can start hiking, or buy a ride on a jeep to the next town of Bhulbhule, or anywhere up to Manang where the primitive road stops. If your time is limited, you can opt to start farther up the trail. Naya Pul is considered the end of the circuit. From there, get a jeep or bus ride to the calming lake city of Pokhara, and then another bus or fly to Kathmandu. Once in Kathmandu, visit the Nepal tourism office to obtain the two permits needed for the trek. Make sure you have several passport photos and Nepalese rupees for the permits: TIMS (Trekker’s Information Management System) and ACAP (Annapurna Conservation Area Project). Along the circuit you will come to several checkposts where they will take your permits and write your information in a logbook. Most of this information is in case you go missing. They want to have accurate information on the last place you checked in. I never had issues with my permits, but I did see other trekkers who had gotten their permits in places other than in Kathmandu and they were told their permits were not the right ones. They then had to pay to obtain them there, and with no ATMs along the way that can be problematic. There is no official guidebook for the circuit. However, I did find an outdated, short PDF from 2011 that I took just in case, but found that it didn’t help me much. During the planning stage for my trek I mainly relied on a Facebook group and video blogs on YouTube. I could direct specific questions to the Facebook group, and the video blogs gave me a better feel of the on-the-ground aspects to expect. I also purchased the National Geographic Annapurna map, but that wasn’t necessary either as it is a much larger scale than one would need. 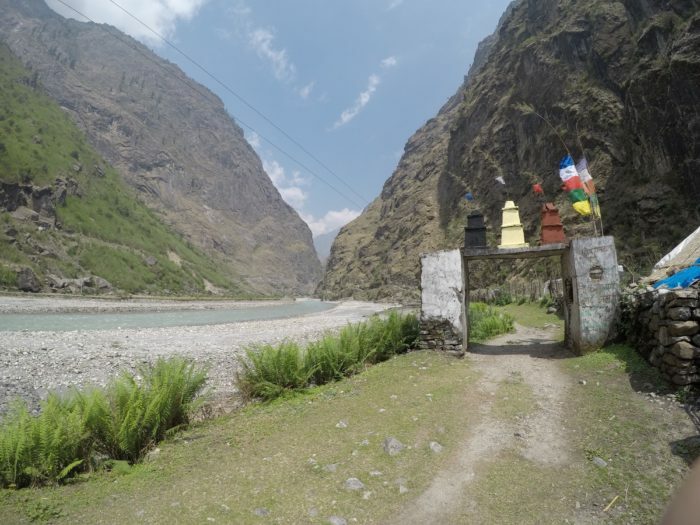 The Annapurna Circuit is user friendly and you can pretty much pick and choose your starting and ending points so you don’t have to do the full circuit, and I’d say most people don’t. That’s why the mileage is tricky to nail down. With the option to get a ride farther up the trail or after the pass, you can plan a hike specific to your time requirements. As for blazes, the trail is marked with frequent red and white trail markers. Noticeably different from other trails I’ve hiked is that the signs and distance are shown by time, how long it takes to hike by hours and not by kilometers, again making it difficult to judge mileage. Later on in my hike I started to use the maps.me app. All I had to do was download the area maps when I had Wi-Fi at a guesthouse and then when I was out walking (without Wi-Fi or data) I would open the app, select the town I was headed for, and click “Route To” and it would mark the path following the Annapurna Circuit. Also what makes this trail unique from other hikes is that hikers are encouraged to hire local guides and porters. I did not do this and I think as the years go by fewer people will, choosing to carry their pack themselves. 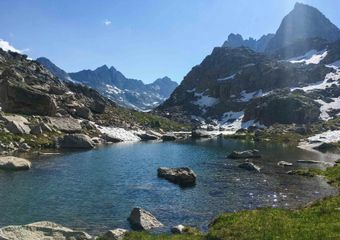 However, it is definitely an option and helps the local economy as well as helps hikers acclimate to the high elevation without having to haul a 20+ pound pack. I read that the two best times to hike this trail is October and mid-March to mid-April. My trek was from April 17 to May 1 and it proved to be just fine. The weather at that time of year consisted of daily light rain and it became cloudy in the afternoons, which sometimes hindered the spectacular views. During my time frame it only snowed once, the night before I crossed over Thorong La. At lower elevations it is hot, but gets colder daily as you increase in elevation. When I took the side trail to Tilicho Lake, the lake was still frozen over, but I believe during the other prime time of October the lake would be ice-free. Camping along this route is not the norm. Guesthouses are so cheap (~$1) that it really doesn’t make sense to carry camping gear. Plus there are really not many places other than in towns to camp. I did see a couple guesthouses that offered a camping spot. Filtering water by a river. I was the only person I saw who filtered my water from streams, and if that wasn’t available I got water from the public water faucets in town, which I then filtered with my Sawyer Mini. You can buy water bottles in the many towns you pass through, but to save from buying plastic and throwing it away (which just ends up in ditches and streams as there is no waste management in Nepal) there are “safe water drinking stations” along the way where you can pay to fill up your water bottle. A lodge at Tilicho Lake Base Camp. You will be staying in small villages every night and passing through several each day, so you can pretty much eat every meal and buy snacks at stores along the way. You will most likely eat dinner and breakfast at the guesthouse you stay at, as their charge for the room is dependent on you eating there. Remember to withdraw all the money you may need for the trek in Kathmandu since you won’t find an ATM until you get to Pokhara after the hike is over. I spent $225 total, or $16/day for 14 days. My amount is probably lower than average as I did not stop for teas or lunch. Luxuries such as beer and Snickers bars are similarly priced as in the US. Most folks take a day off to help with acclimatization in the town of Manang. It’s the biggest village since Besisahar and they even have small movie rooms where you can spend the afternoon watching movies like Everest or Seven Years in Tibet. Don’t miss out on trying Nepal’s national dish of dal bhat (dal-lentil soup, bhat-rice) or yak cheese. Cheesing at Thorong La pass. If you don’t want to fly with your gear, there are many places to buy or rent gear in Kathmandu; it is a common practice as the local shops are always outfitting trekkers. The tourist shops in Thamel are loaded with fake branded gear that you can get pretty cheap, but it won’t be high quality. The big debate on the trail is whether you need a sleeping bag or not. The guesthouses aren’t heated, and once you get to higher altitudes it’s pretty chilly at night. I chose not to take one to save room, so I only brought a silk bag liner and relied on the blankets at the guesthouses. I never had a problem, but I also made sure to wear all my warm clothes to bed. Warm layers are your best bet, but I was surprised at how warm it was for the first few days before I got to higher elevation. Make sure you’ve got rain gear, gloves (I ended up wearing two and my hands still hurt from the cold), and a beanie to go with your cold-weather gear. I’m also a proponent of hiking poles. Electricity can be spotty at times and sometimes it will go out completely, so bringing a spare battery bank and headlamp will come in handy. I also brought motion sickness pills for the bus rides—they’re rough. I also would recommend common medicines for food sickness and such. I got really sick on day two and that was the worst time of my trip. Lastly, don’t forget an outlet adapter. Altitude sickness is real and a very serious element of this hike to watch out for. Being incredibly fit doesn’t matter as it doesn’t help in one’s ability to acclimate to altitude. 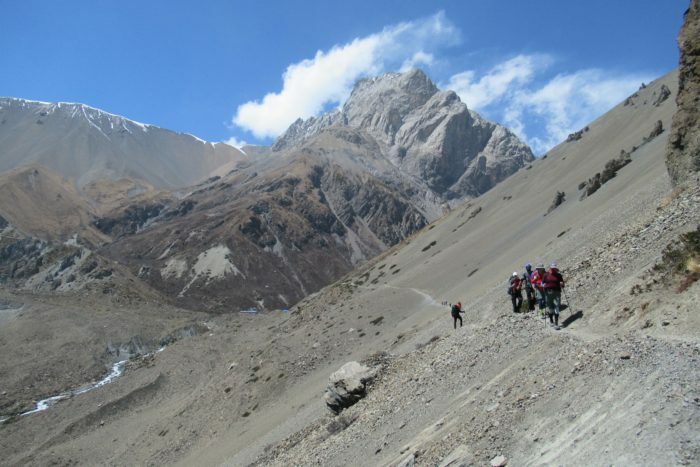 All the information about altitude sickness recommends to ascend only 500 meters/1,600 feet a day. And the saying goes, hike high, sleep low. I would imagine that if you are restricted with time and end up taking a jeep to a village farther down the trail that you might miss out on crucial time letting your body acclimate. Why Hike the Annapurna Circuit? 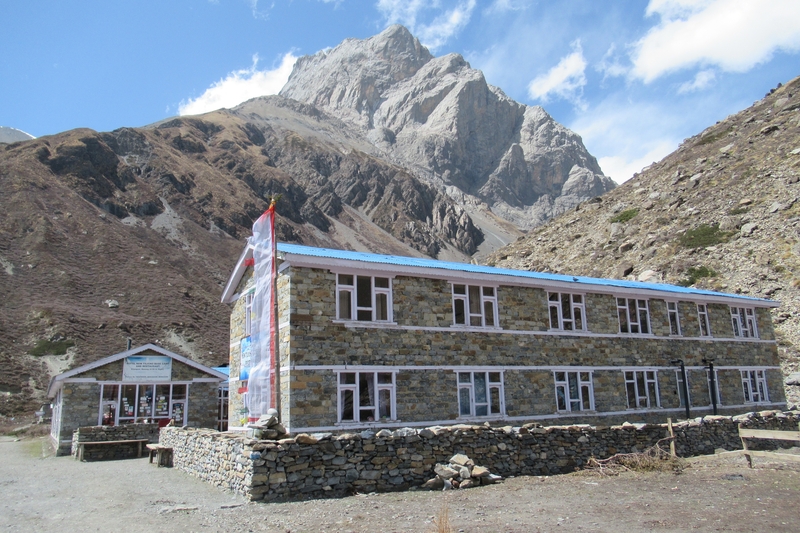 Exploration and adventure saturate the high mountain air in the land of Everest. You’ll be hard pressed to not get whipped up into an expedition frenzy all the while being humbled by the enormity that is the Annapurna Range. Nepal and her towering mountains are sacred, and I believe it’s necessary to acknowledge their unwavering power in relation to how explorers have pushed themselves to the limits of human perseverance just to witness their magnitude. The adventurous atmosphere in Nepal is intoxicating and if they bottled that inspiration up it’d be the most sought after elixir of all. Go get ya some. This trek sounds awesome! Thanks for sharing how to do it. Fantastic report, I just trekked Annapurna circuit in October myself. Trip of a lifetime, as you say. Also hiked Camino Portugese last Oct. and French way year before that. Keep up the great writing, and see you on the trail!